"It has been pretty hectic. But I'm enjoying every bit of it. I love the club and I love our team." Virgil van Dijk is a happy man. Just three months after he joined Liverpool, the defender and his teammates are 90 minutes away from a Champions League semi-final. Their force has been felt across the continent. An awe-inspiring night at Anfield that, even almost a week on, the No.4 admits ‘you really can’t describe’ saw Jürgen Klopp’s side soar into a 3-0 lead against Manchester City in their last-eight tie. 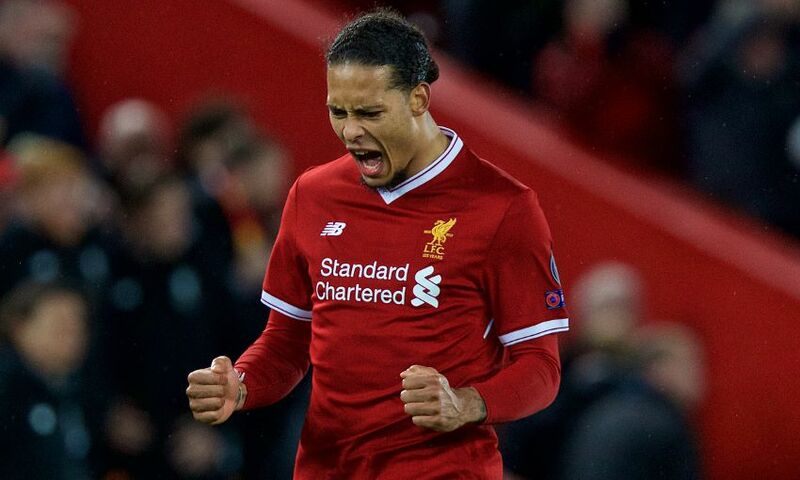 After his first experience of the unique atmosphere generated on European nights inside the stadium he now calls home the Dutchman struggled to calm down having helped the Reds chalk up what could be a crucial clean sheet. “It was difficult to fall asleep,” he tells Liverpoolfc.com ahead of the return meeting. “I knew before I joined, and know now, how much quality this squad has and how good we can be if everyone is at 100 per cent. The game at home was an amazing example – everyone was 100 per cent focused and at it. Everyone showed their quality. Do not mistake Van Dijk’s satisfaction for complacency, though. The message from the Liverpool squad ever since the full-time whistle at Anfield last Wednesday has been consistent and sincere. Their job is not complete. “You can’t deny that being 3-0 up is going to be a little bit in your mind. But we need to go into the game with the mindset that it’s still 0-0. We want to win the game and we want to play well,” says the Netherlands captain. The 26-year-old has formed a strong partnership with Dejan Lovren which, aided by outstanding performances on the flanks by Trent Alexander-Arnold and Andy Robertson, denied City – the only team to have scored more goals than Liverpool in the Premier League this term – a shot on target in the first leg. Open communication between the two has expedited the effect of their combination. But Van Dijk feels indebted to the diligence of the whole team for the coverage higher up the pitch that limits exposure to the Reds’ backline. “It is going well. Dejan and I are talking a lot together, trying to maximise every possibility and trying to keep clean sheets as well,” he explains. 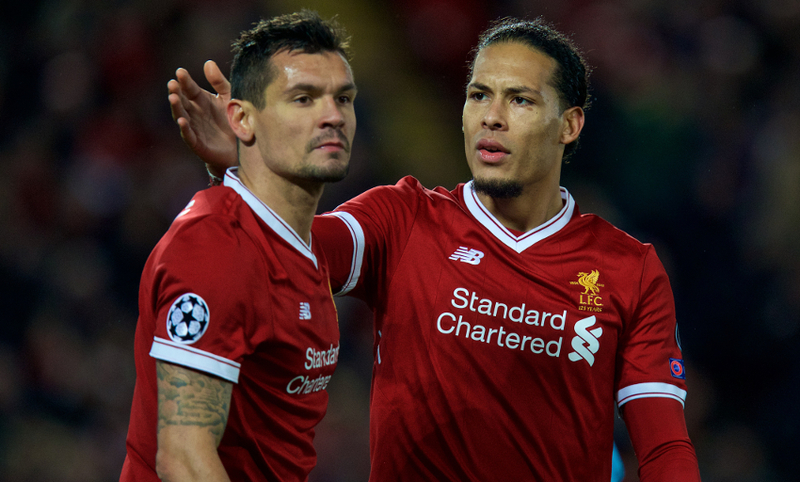 The personnel either side of Lovren and Van Dijk changed for Saturday’s trip to Goodison Park and the 231st Merseyside derby, with Nathaniel Clyne and Ragnar Klavan on the right and left respectively. Despite a handful of late scares, another shutout was achieved nonetheless. Klopp may shuffle his defensive options again at Etihad Stadium but the ability of all those around him fills the January recruit with confidence no matter who lines up at the back. “If you play with certain players a lot you get to know what they want to do in possession and without the ball. So certain things you get used to,” notes Van Dijk. What Liverpool won’t know until 75 minutes before kick-off is exactly who they will have to be ready for. Gabriel Jesus led the City attack at Anfield but Raheem Sterling started their Premier League meeting with Manchester United on Saturday and Sergio Aguero is in contention to start. Van Dijk’s respect for the opposition is proportional to the immense talent in Pep Guardiola’s ranks but comes in equal measure to his self-confidence. He says: “They have got quality players all over the pitch, it doesn’t matter who plays. But we need to look at ourselves. If we play well, defend together and attack together, it doesn’t matter who plays for the opponent. If they do, the centre-back’s dream start for the Reds will continue into the last four of Europe’s elite club competition. So far, so very good. “Moving house and moving city, there has been a lot of emotions going on,” adds Van Dijk. “It has been amazing and obviously winning games helps a lot with settling. Everything that happened has been fantastic.